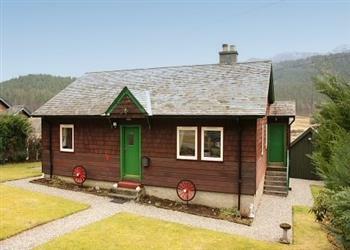 The latest holiday cottages from "Gael Holiday Homes" can be found below. We have a nice little collection of new cottages to report on with accommodation being found in Inverness-Shire, Banffshire, Ross-Shire, Sutherland and Morayshire. There is also one particular cottage to give a special mention to. You can see the new cottages from Gael Holiday Homes below. But before you see all the latest cottages available, let me show you that cottage I mentioned earlier: "Caberfeidh Cottage". For the very latest in holiday cottages from Gael Holiday Homes, have a look at our cottages which have recently been added page. Pitcalzean House - Scottish Highlands.